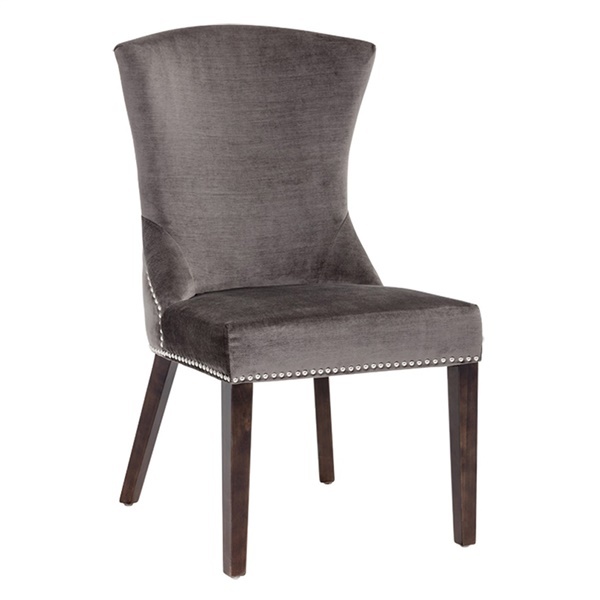 Classic meets contemporary in Sunpan’s Sabrina Dining Chair, a plush piece with a rich, regal character. Crafted to last of quality woods, each Sabrina Dining Chair by Sunpan is generously cushioned, comfortably contoured, and available in your choice of lush hues. Distressed legs offer an antique vibe, while nail head details provide a subtle touch of shine. Fabric back and seat will maintain their appearance for years. Distressed walnut frame finish is sure to dazzle consistently. Frame consists of solid wood and plywood for amazing quality.